Our firm has worked with Alain on two commissions. A pastel landscape and a pastel portrait commission. On both occasions, Alain was professional, kind and generous in his time and in his attention to our client’s needs and requests. He was open to suggestions and revisions requested by the client and his willingness to listen and understand the client’s requests was greatly appreciated. Alain’s thoughtfulness and warm personality made both commission experiences a pleasure. Ourselves and our clients were more than pleased with the results. Contact Alain Picard at 203.297.1399 or email alain@picardstudio.com to commission a portrait. I have deep gratitude for Alain Picard who masterfully captured the innocence of youth in his pastel portraits of my children. 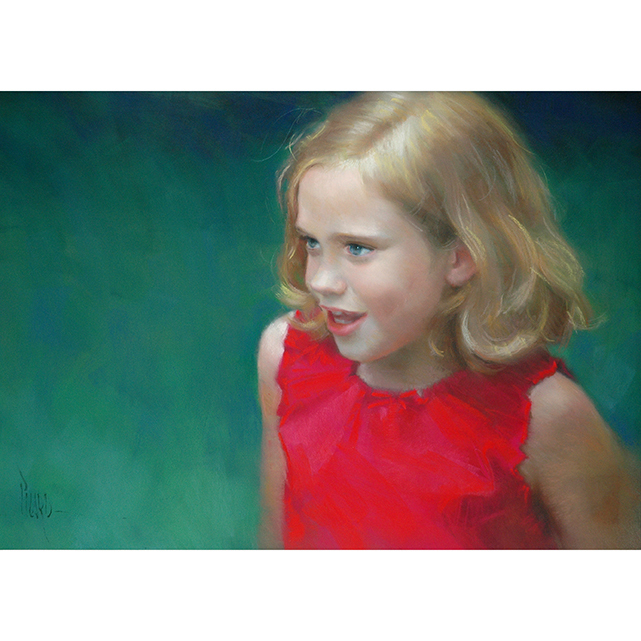 With his unsurpassed talent and passion for art, Alain delivers stunning beauty and portraits that truly embody the essence of a child's personality.